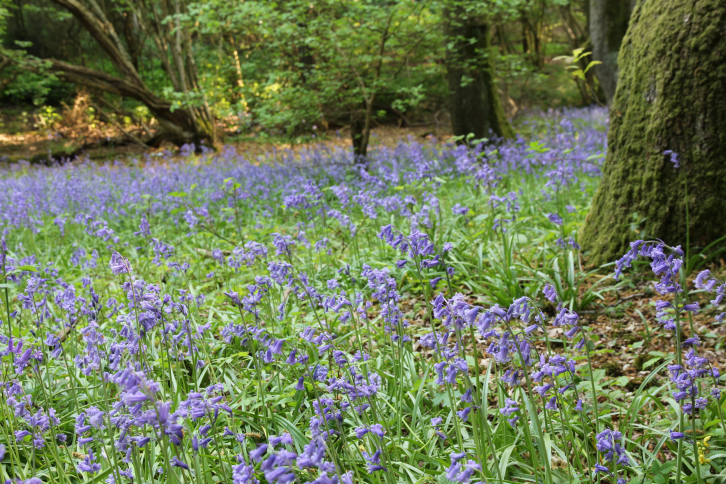 Some of the most important wildlife sites in Hertfordshire are to be found in the vicinity of Bricket Wood. This is due not only to Bricket Wood Common, a SSSI (Site of Special Scientific Interest) located to the southeast of the village off Mount Pleasant Lane/School Lane, but also to the surrounding woodland and grassland, and even the M25 and M1 motorway corridors are known for the quality of their wildlife. Many residents also notice an unusual variety of wildlife in their gardens. Until the middle of last century, the Common was mostly managed woodland and heathland and, after over fifty years of neglect, work is on going to restore the heath and open up rides in the wood to try to bring it back to its state in the 1940's. In the meantime, the privately owned Common, managed by The Joint Commons Committee of public representatives and professionals, has become widely used as an enjoyable and interesting environment in which to roam, with numerous pathways tramped by walkers over the years connecting to the footpaths and bridleways within and beyond the Common. Work is also underway to improve Blackgreen Wood, to the north east of the village off Lye Lane, where much of the the understorey of holly that had taken over has been cleared by volunteer work parties. Some trees are being felled in a rolling programme of work to open up glades to encourage a wider variety of flora and fauna. This remnant of Blackgreen Wood is now a public open space in the ownership of the Parish Council to ensure its future but evidence of the extent of this original 'Wood' that is believed to have once covered the main village of Bricket Wood is to be seen in the number of mature trees, primarily oak, within and around the village. Hanstead Wood is a new woodland planted by local people to benefit the environment, wildlife and the local community. Early in 2004 local volunteers planted nearly two thousand trees and bushes on land provided by HSBC off Smug Oak Lane. Under the guidance of the Countryside Management Service, the Friends of Hanstead Wood developed the wood with volunteers laying a path, planting a hedge screen, sowing some wild flower seed, while endeavouring to control unwanted weeds. The Wood opened to the public in 2007 and the Kissing Gate provides access from the former Bricket Wood Sports Centre car park. There is an information board showing the birds, trees, plants and flowers etc that can be seen in the woodland. The task of maintaining and improving the wood is ongoing. Work parties are publicised on the BWRA noticeboard at the Oakwood Road shops but are normally on the second Saturday morning of the month and more information can be found on the Hanstead Wood website.